KYIV, Ukraine—The U.S. announced on Friday that it was suspending its obligations under a Cold War-era arms control treaty with Russia. “For far too long, Russia has violated the Intermediate-Range Nuclear Forces (INF) Treaty with impunity, covertly developing and fielding a prohibited missile system that poses a direct threat to our allies and troops abroad,” U.S. President Donald Trump said in a Friday statement announcing the move. The U.S. will completely withdraw from the 1987 treaty within six months, “unless Russia comes back into compliance by destroying all of its violating missiles, launchers, and associated equipment,” Trump said in the statement. 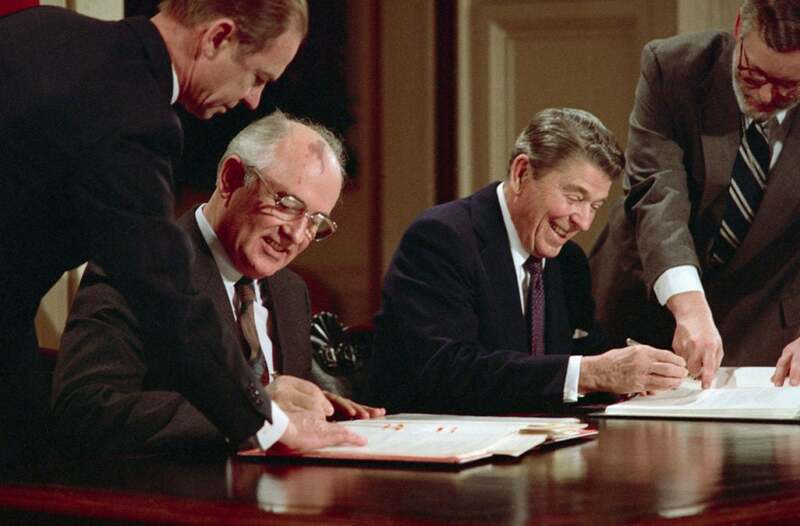 Signed by President Ronald Reagan and Soviet leader Mikhail Gorbachev, the INF bans missiles with ranges between 300 and 3,400 miles. The U.S. has been threatening to pull out of the treaty for months. Officials say Russia has deployed four battalions of ground-based, Novator 9M729 missile systems—reportedly comprising roughly 100 missiles in all—which have a range in violation of the treaty’s terms. On Friday, NATO expressed its support for the U.S. move, laying blame on Russia for the treaty’s breakdown. “Unless Russia honours its INF Treaty obligations through the verifiable destruction of all of its ground-launched 9M729 cruise missile systems, thereby returning to full and verifiable compliance before the U.S. withdrawal takes effect in six months, Russia will bear sole responsibility for the end of the Treaty,” the NATO statement read. 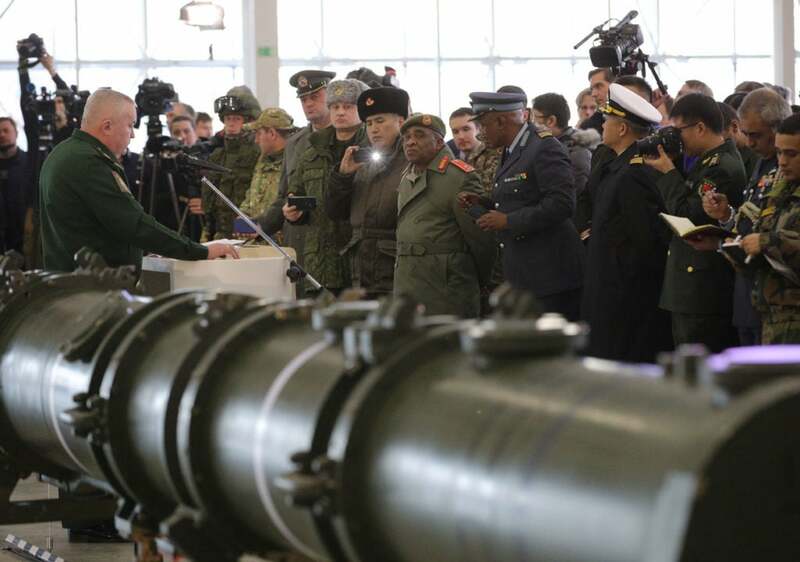 Russia denies the U.S. charge, claiming it remains in compliance with the INF treaty and that the U.S. withdrawal risks sparking an arms race. Yet, many experts say Russia has flouted the INF treaty’s rules for years, thereby leaving the U.S. at a strategic military disadvantage. “Continued efforts by the U.S. government over the last five years to engage Russia to persuade them to return to compliance with the INF treaty have failed. 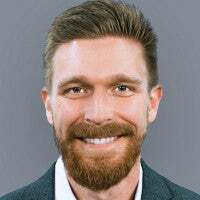 All U.S. inquiries and efforts have been met with lies, deceit, and denial,” Thomas Spoehr, director of The Heritage Foundation’s Center for National Defense, said. In Ukraine, amid the backdrop of an ongoing war with Russia and its proxies, news of the U.S. withdrawal from the INF treaty was generally welcomed—albeit with some trepidation. 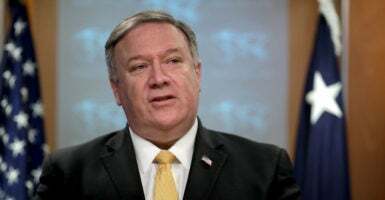 “Both the Obama and Trump administrations tried diplomacy, and it failed. So it’s logical to make such a decision, especially after 2017 when it became known that Russia not only tested those 9M729 systems, but started to deploy them,” Mykola Bielieskov, a defense analyst at the Institute of World Policy, a Ukrainian think tank, told The Daily Signal. Alexander Khara, deputy chairman of the Black Sea Institute of Strategic Studies, pointed to the fact that China is not a party to the INF treaty, which leaves the U.S. at a strategic disadvantage. “The U.S. withdrawal is just a reflection of a new reality where Russia isn’t compliant, and China isn’t willing to join the regime,” Khara told The Daily Signal. Ukraine’s military remains engaged in daily combat against a combined force of Russian-backed separatists, foreign mercenaries, and Russian regulars in Ukraine’s eastern Donbas region. It’s a static, limited conflict, fought for the most part from trenches and fortified positions along a roughly 250-mile-long front line. Combat is waged at a distance, using indirect fire weapons like mortars, tank shots, multiple-fired rocket systems, or artillery. Snipers are a lethal threat, as are land mines and improvised explosive devices. The war has killed about 13,000 people since April 2014, according to a January United Nations report, marking a significant jump from a December 2018 estimate, which put the conflict’s death toll at around 10,300. On average, about one Ukrainian soldier dies every three days. And civilians are still dying, too. According to U.N. data, 279 civilians were killed or injured in the war in 2018. The latest U.N. report said the war’s overall death toll comprises 3,300 civilians, 4,000 Ukrainian troops, and 5,500 militants from Russia’s combined-separatist forces. In terms of its military losses alone, Ukraine’s combat deaths are roughly on par with total U.S. military deaths during the Iraq War. Apart from the ongoing ground war in the Donbas, Kyiv says Russia has massed ground forces along its border with Ukraine as well as in Crimea, a territory Russia invaded and seized from Ukraine in 2014. When it comes to Ukraine’s national security, Bielieskov said the impact of America’s INF withdrawal largely depends on whether the U.S.—once unbound from the treaty—deploys new missile systems to Europe. Last year, the ongoing land war in Ukraine’s embattled eastern Donbas region spread into the maritime domain. A Nov. 25, 2018, naval confrontation with Russia near the Kerch Strait spurred Ukraine to put its military on full alert and declare martial law in 10 border territories deemed most vulnerable to a Russian invasion. The martial law measure has since expired, but Ukraine is building up its military forces along its southern Sea of Azov and Black Sea coastlines for the sake of repelling a potential Russian amphibious invasion. Down the road, some Ukrainian experts worried that Russia could leverage its recommitment to the INF treaty for other security concessions in Europe—including, for example, not admitting Ukraine into the European Union or NATO. Also, if Russia is no longer bound to at least feign its compliance with the INF treaty’s rules, it could open the door to new weapons threats against Ukraine. “Given Russia’s hostile policy towards Ukraine—real as well as hybrid war—that type of weapon system is a direct threat to our security,” Khara said, referring to Russia’s 9M729 cruise missile systems.